I’m thankful that we got to spend a wonderful weekend on our boat last weekend. We had a nice BBQ rib dinner with another couple on Saturday evening and then spent a lot of time reading. Nothing better than reading a great book on the back of your boat. I’m thankful that our boating neighbor took a shot of our boat with his very expensive camera and then sent us the photograph. Apparently he can edit any photograph any way he wants. He sure made our boat look nice. It wasn’t this clean when he took this photograph. I’m thankful for the beautiful spring weather. I’m wearing short sleeve shirts and flip flops. I’m not in shorts yet, but that’s right around the corner. I’m thankful for all the wonderful comments I get on my blog every day. You have no idea how much I appreciate your visits and comments. I’m thankful that hubby will probably be having his hernia surgery next Monday. There was a bit of a problem with his blood pressure, but we think this will be resolved this week. Oh the roadblocks we encounter when we get older. I’m thankful that hubby and I are still very healthy. There are a few issues here and there, but there are so many that have some serious health issues when they are our age. So thankful. So glad you are able to enjoy going out in the boat again! It looks great! We have been in shorts all week. Cooler air is coming, so long pants will come back out, but no more winter coats. Makes me happy, happy, happy. Next Monday…I'll be praying that the blood pressure glitches get worked out and that the surgery and recovery go smoothly. Yay, life is complete once again. Just get that pesky surgery out of the way so you can be on the boat again next weekend. Will send prayers and good thoughts your way for a flawless surgery and fast recovery. We are just thankful that Sandee and Zane finally got to go out on their boat. We are always thankful for good health. That is so important. Enjoy your warm weather. Your boat looks great! I know that you mean about blog comments – I always am thankful when people stop by mine and say hi. She's a beauty, alright. Did you ever mention what her name is? My best to Zane on his upcoming surgery. Al had double hernias repaired about 15 years ago with the mesh… It's held pretty good but one side has started to bulge just a bit. Bugger. Not so bad that he's considering more surgery though, thank goodness. Such a beautiful boat! Right now, i'm thankful for a few minutes to sit and read. I'm sooo jealous! Miss my time on the Gulf Waters. 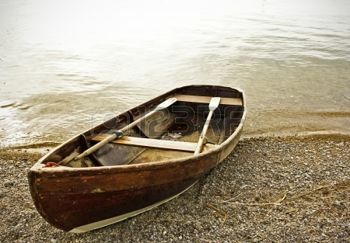 A boat is about the only way to get away from this Mad, Mad, Mad, Mad World! I hope the blood pressure problem is resolved and the hernia surgery goes well. Surgery of any kind always makes me feel a bit nervous. So I will send lots of good vibes your way! P.S. Isn't it amazing what we can do with photo editing :)Your boat is lovely either way, but that shine! The shine is there all the time. That's because we have her detailed every year. Makes a big difference. There is a plaque on the wall at our vet's office that reads, "There is always always always something to be grateful for." I know this in my head, but I have a heavy heart today. We would be grateful for some good news at our house. Your boat is a real beauty. And yes, reading a great book at the back of your boat sounds heavenly. I would say reading a great book poolside would come in second. My best to your husband with his upcoming surgery. Hoping for the best for you both. my oh my- almost time for shorts? It's lots warmer here- but I'm still in my leggings- but have shed the long underwear- (seriously!) As for thankful? Always thankful for our good friends and family! Not to mention continuing good health- not to be taking it for granted-no siree! Cheers and big hugs to you and Zane- especially next week! I am thankful that years ago I moved to a place where spring starts in February when the almond trees bloom across the valley. And I can avoid snowy surprises in April. So glad you enjoyed your weekend on the boat! I thought about you! I'm very thankful tax season is over and I've been able to enjoy this week doing whatever I want! I'm not doing much of anything but not being chained to my desk is fabulous! Hope you have a lovely day Sandee! I'm thankful for everyone in my life and that also my blogging friends. I'm thankful for having an opportunity to golf. Most important is my wife Mary Lou. I don't know what I would without her. Have a thankful Thursday Sanday & Zane. See ya. Very nice boat. Wonderful things to be thankful for. I will be praying for your husband. Nice!!! I don't ever wear shorts. Just capris…and I'm already wearing those. Your boat is gorgeous!!!! Yes!! If you have a smart phone, you can upload your photos to your email and then use an online photo editor if you want. That is a great picture of your boat! Good luck to your husband with his surgery! Your boat is gorgeous! Will put hubby on my prayer list. Have an awesome weekend! As usual wonderful thanksgiving! this clearly reflects your positive attitude towards life and the society. Your boat looks very nice and shiny! I hope your husband's surgery is quick and goes well. Your boat looks grat. Truly. Sure hope the hernia repair goes well. Sending much love to you both.